The clear choice in anti-fog gels. The unique clear formula means long lasting anti-fog protection. 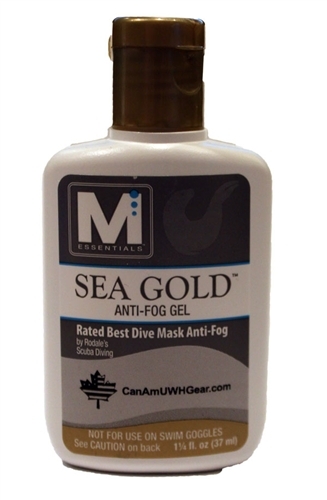 Sea Gold is highly concentrated and designed for quick, simple, in-field application. Sea Gold is safe for all glass and plastic lenses and will not harm surrounding silicone or rubber support frames. Not recommended for swim goggles.